Download for Free: Download Now! 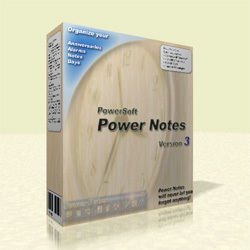 Power Notes is a multi-featured desktop notes organizer, reminder and scheduler allowing you to create electronic sticky notes and display them at a set time. The program is very easy to use and has low system requirements. specify the date and time of a reminder in every detail with the help of "Alarm Wizard"